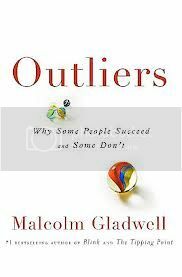 My first book by Malcolm Gladwell, and I am now tempted to read up all his works. There are two ways of telling every story, and similarly there are two ways of justifying a person’s behavior. One – the person alone is responsible for everything happening in his/her life, the other reason – external factors around the person are responsible for the person’s behavior. This book explains the second part in a detailed way, with ample examples. Success is tightly coupled with opportunity and time. The 10000 hour rule discussed by the author here, states that it takes approximately 10,000 hours to master something. This seemingly simple rule of thumb has profound examples and logic behind it, elucidated very well in the book. The rule makes one realize that the way to master something is to put in the rigorous hours. Be it anything – a sport, dance, Running – the more you do, the better you get at it. This book also touched upon the author’s personal story of becoming a writer tracing its roots to his maternal grandmother and the various world events that helped him get where he is. All the examples given in the book, just makes one feel – it is all written. It gave a complete new twist to destiny and its importance in our lives. To summarize the lessons in the book – success depends on myriad external and internal factors, and the only thing in our control is the amount of effort we put in. In other words, a person has to be talented and also take advantage of the singular opportunities provided to him, to be truly successful. Off to lay my hands on the next book by Malcolm Gladwell.